Shortly after Charles Chadwick inherited the New Hall Estate a survey was taken. The property surveyed included three farms, some cottages, and New Hall Mill. This was in February 1795, when William Twamley held the lease of the mill, the third of four William Twamleys who were millers at New Hall Mill between 1730 and 1830. The annual rent of the mill was £35, Twamley also paid an additional £43. 4s. 2d. rent for thirty acres of meadow, and the surveyor noted “These lands with the mill might probably be let at £84 per annum but the Tenant having been at great expense in repairs deserves consideration.” Twamley had converted the old Elizabethan mill, probably a single-storey structure, into the tall brick building of today. The fourth Wiliam Twamley held the lease of the mill in 1824, calling himself “William Twamley of New Hall Mill mealman”; he lived at nearby New Shipton Farm, and employed William Hingley, a master miller who lived in the mill house, to run New Hall Mill. 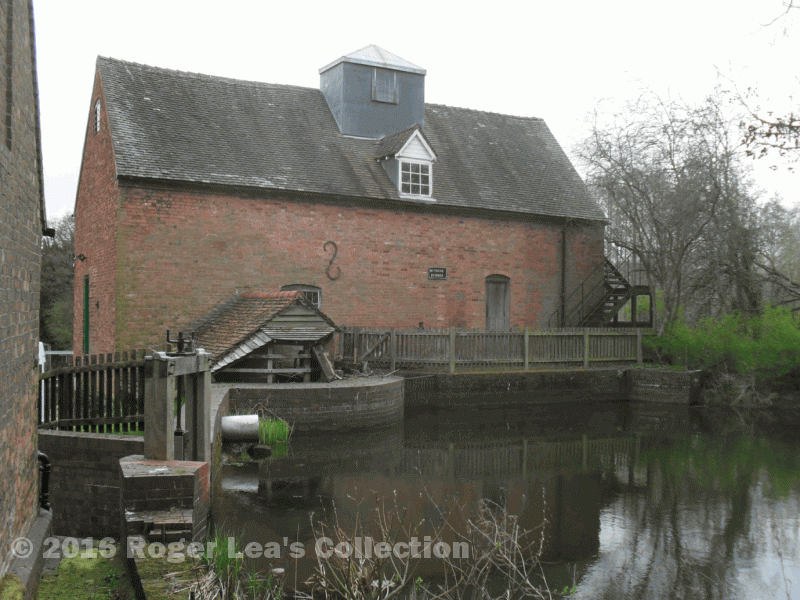 Leases were usually for twenty-one years, but the lease of New Hall Mill did not expire until March 1825. A new lease, dated March 25th 1825, was granted to Benjamin Brentnall the younger, a miller of Borrowash in Derbyshire. The property was not the same as that surveyed in 1795, only fourteen acres of meadow instead of thirty, but an additional house was included, the stone house in Wylde Green Road known as the Ford-Keeper’s Cottage, and the rent was £110 per annum. Not satisfied with the increased rent, Chadwick managed to squeeze some extras into the lease - Brentnall was to give Chadwick “2 couple of fat pullets or 5 shillings in lieu thereof” each year; “to provide annually to Chadwick a wagon and team for one whole day or pay £1 if Chadwick so determines”, and to keep one dog for Chadwick’s use. This was in addition to the usual clauses requiring Brentnall to keep everything in good repair, reserve the right to “hawk, fish and fowl” to Chadwick, and to allow the use of water from the leat to flood the water meadows in the winter.